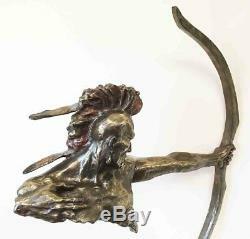 32 Inch Bronze Colored Indian Head Bust with Arm Shooting Bow Statue. 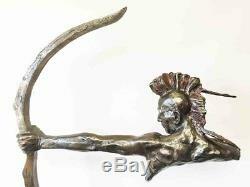 This Exotic Highly Detailed Indian Archer Statue is 32.75" tall, 22" long and 4 deep. Its base is 11" by 6". 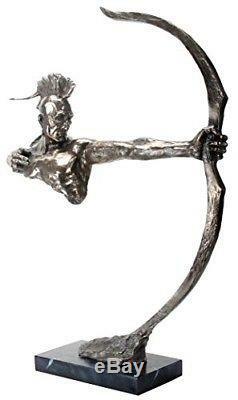 The Indian Archer Statue is made of designer composite resin, hand painted and polished. Color Tone may vary from pictures. 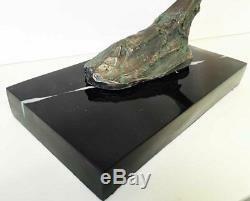 The black marblelike base may feature natural fault lines existing in real marbles. 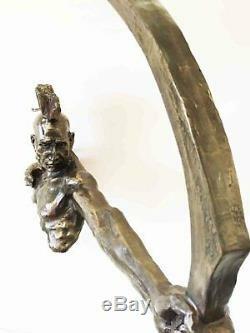 This sculpture was not made by a native american indian. 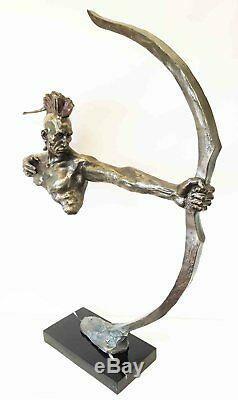 This sculpture features a brave and skilled Indian warrior drawing his bow with masterful precision. Hi eyes are focused and face calm as he hears himself breathing. His arms are steady but yet limber to follow a long a moving target. 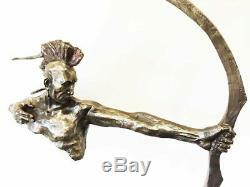 This Indian Warrior is a magnificent statue to display anywhere in your home. He will draw awe and inspiration from all eyes that see him. International Buyers - Please Note. This program includes end to end international tracking. If the item is lost or damaged during transit, the program will have you covered. If a replacement unit or replacement parts are requested, please be aware that the fulfillment timeframe is based on product availability. 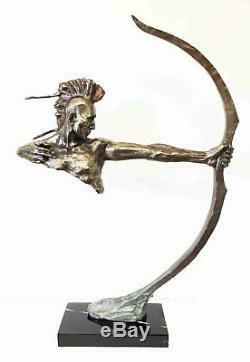 The item "32 Inch Bronze Colored Indian Head Bust with Arm Shooting Bow Statue" is in sale since Monday, January 2, 2017. 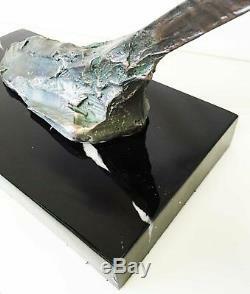 This item is in the category "Collectibles\Decorative Collectibles\Figurines\People". 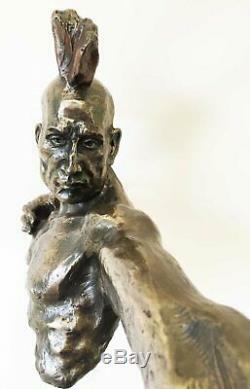 The seller is "istatue" and is located in Edmond, Oklahoma.